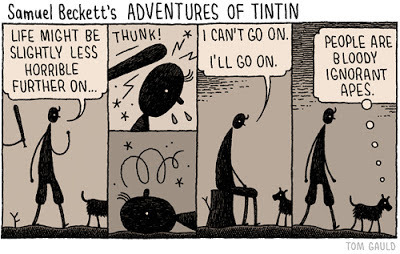 I will be away at a boring conference over the weekend and for the first part of next week, so you can expect blog silence and twitter-whining from me for a few days (business as usual, basically). But in the spirit of bringing positive stuff to the table to make up for all the whining I plan to dump on you later, I've decided to have a giveaway. 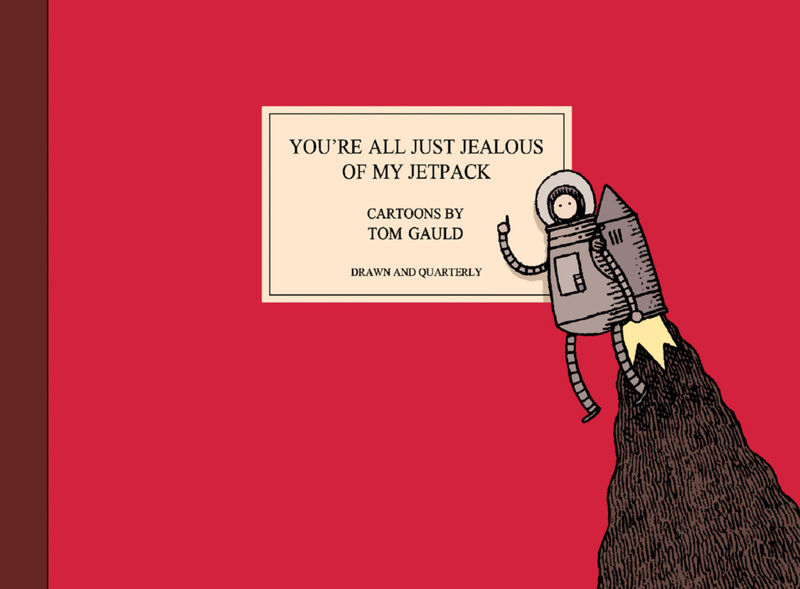 I'm buying Tom Gauld's You're All Just Jealous of My Jetpack for myself next week and giving away a copy to one lucky person. 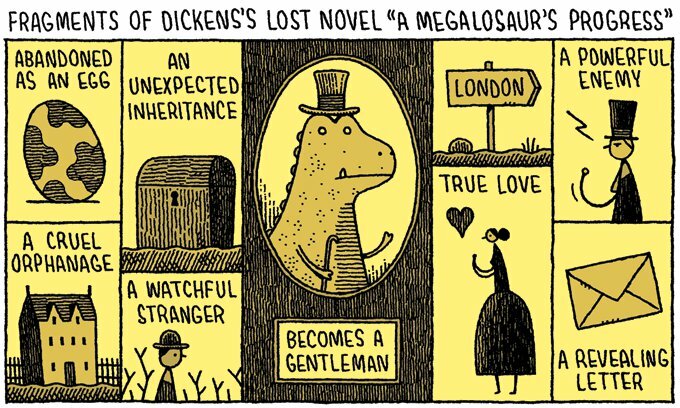 Dickens's Lost Novel "A Megalosaur's Progress"
So, what do you have to do to win this book? You need to be a follower of our blog and leave a comment here. 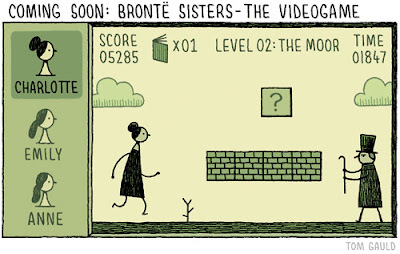 We're not fussy, so "follower" can mean you follow us on Twitter, Facebook, Google Friend Connect, Bloglovin, subscribe to us in your reader, have an email subscription, you name it. Just make sure you mention which of these options you're using. Also, if your email address is not mentioned on your profile, please put it in the comment as well, so we'd have a way to contact you if you win. Giveaway ends on Wednesday, July 10.
and I tweeted about the giveaway as well (@Rivorniel). Yay! That's three entries for you, fellow Faulkner-lover!